We swear do our best for our patients. Graduated from the Department of Dentistry at Nihon University 2001. 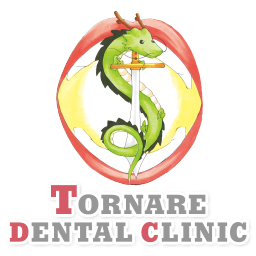 Began work as the director of The Tornare Dental Clinic of RMDCC in 2006. Graduated from The Department of Law at Nihon University 1995. Keio University dental surgery training 2003. Anesthesiology of Department of Medicine at Keio University Master program 2007. Kanagawa Dental College lecturer in anesthesiology. Director of the Tornare Dental Clinic. 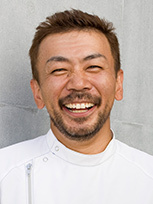 Yotsuya Medical Mall Dental Clinic adviser. Our staff strives for reversible treatment, returning teeth to their original state as much as possible. Moreover, we believe above all that improving a patient's knowledge of things such as tooth decay and periodontitis is key to the best treatment. We work on the theory that we need to keep in mind not only tooth and gum disease, but also the entire body. We work in cooperation with a large variety of medical facilities for that. The gum disease, especially periodontitis, is just as chronic as high blood pressure, diabetes, etc. Regularly taking preventive actions is the best method of treatment. We strive to crate an environment that is accommodating to our patients. Our office ours are from 10:00 AM to 7:00 PM Monday through Friday and Saturday 10:00AM to 4:00PM. We have the equipment and desire to see your treatment through to the end. Therefore we guarantee that you will be satisfied with our service. We want to change the image of a dental office from being painful and scary to one where patients are pleasant and happy. Please, by all means, come check out our office.